If you’ve ever heard an orchestra in the moments leading up to a performance, you’ll recognize it right away. Played with little regard for each other, a blur of muted notes swell before suddenly grinding to a halt, slipping into the type of quiet one usually only experiences when walking a path covered in snow. Yet following that blaring rush and beat of silence is a piece of music so flawless it startles. 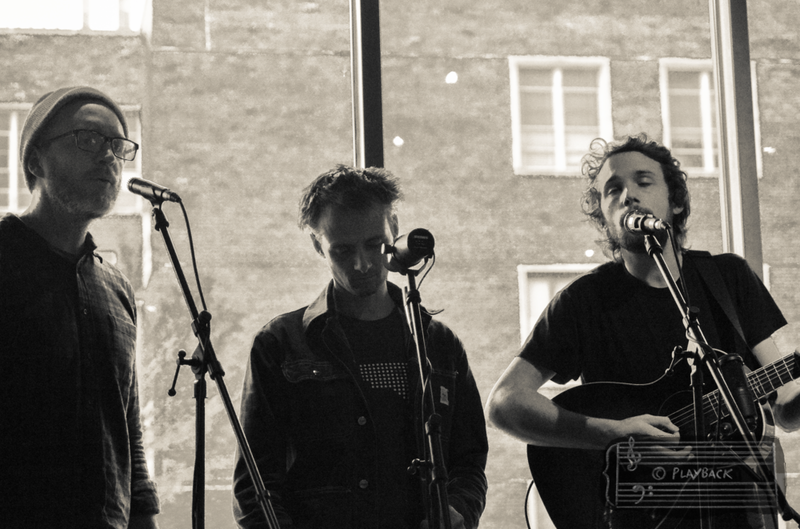 Entering the upstairs of Philadelphia’s Drexel campus located Shake Shack only minutes prior to performing “Is This Danger,” the three members of Bombadil shook off the cold from outside before coming to life like the strings and horns of a symphony. Taking their places in front of a window overlooking the bustling city streets, they tested the sound all at once before replacing fragments of verse with harmony so warm it could have coaxed the grey right out of the December sky. 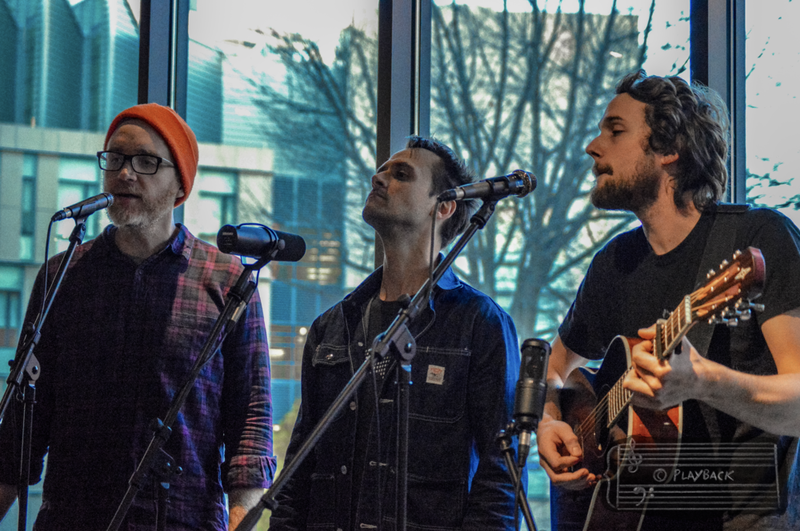 In town the beginning of the month (12-08-16) to perform a nighttime set at World Café Live, the North Carolina based band’s live session would offer a concentrated taste of the wit and heart that is so deeply ingrained in their records and live shows.